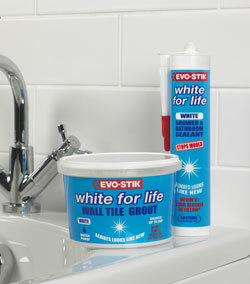 If you're fed up with mouldy sealant and discoloured grout lines in your bathroom, White For Life, an innovative new range of sealants, tile adhesives and grouts from Evo-Stik, is guaranteed not to blacken, fade or yellow, meaning your bathroom will sparkle for longer! 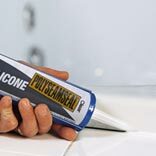 The new biocide bonded formulation of White For Life ensures it stays white for the life of the product and the range includes a shower and bathroom sealant, a wall tile adhesive and grout and a wall tile grout. 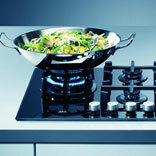 With the Evo-Stik stamp of approval, you can rest assured that they won't let you down and, priced with the current economic climate in mind, the White For Life range offers better performance for less! White For Life shower and bathroom sealant is available from B&Q for £7.99. 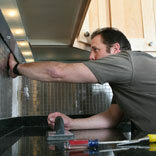 White For Life wall tile adhesive and grout is £14.99 and wall tile grout is £6.99, both available from Homebase.